We have currently using DSE 4.8 and 5.12. we want to migrate to apache cassandra .since we don't use spark or search thought save some bucks moving to apache. can this be achieved without down time. i see sstableloader works other way. can any one share me the steps to follow to migrate from dse to apache cassandra. something like this from dse to apache. Hi, please update Nuxt to latest. Thanks. Hi during offline site is not working. demo has also has the same issue. Is PWA active. 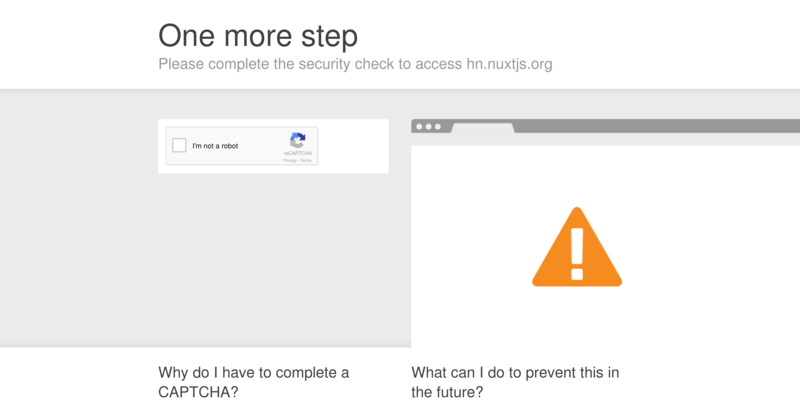 Nuxt.Js lacks a good example of how to do testing on a complex site. Hackernews clone would be a good example by mocking this.$axios in store. And mocking the store's state. Hi, is it possibleto get a deployment of the latest code? Asking because da3acabe38e600cbe58ac15769635594d3f68f91 was merged a while ago but comment counts are still broken on the live site. dedicated team of app developers, offers the best Ubereats-Alikeapps clone script used to develop food delivery app with most advanced future.Get your own app for both android and ios. may i know is it possible to change this project to SPA mode instead of UNIVERSAL mode ? I was using (vue-hackernews-2.0)(https://github.com/vuejs/vue-hackernews-2.0) and when I navigate to different pages using more > and < prev , the progress bar is finished correctly when the data fetching is finished. But here, the loading only keeps synced at the first load, and then always finishes before the data is actually finished fetching.